Who Can Hunt Marbles Around The World? Anyone! Hunting marbles is great fun and adventure for people of all ages. 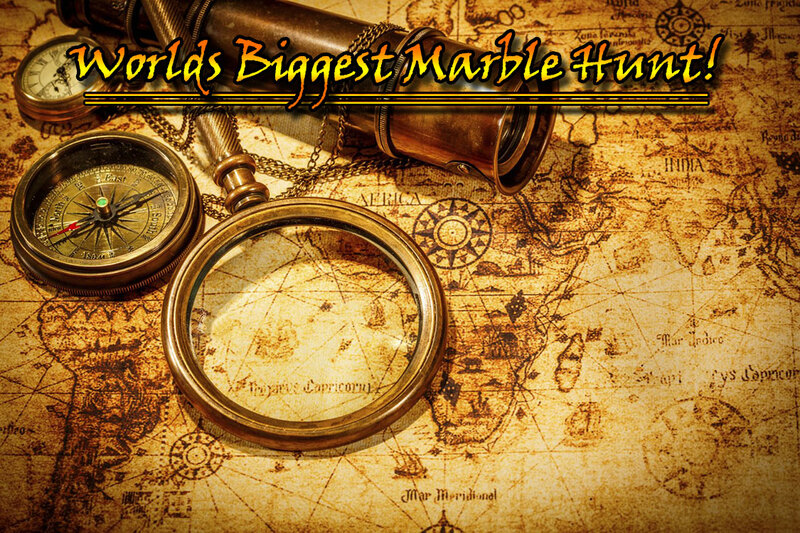 Marble hunts can range from very easy to highly skilled for those with the knack for adventure. Marble hunting is easy. Just join the Facebook Group - Worlds Biggest Marble Hunt, and then take a few minutes to read the rules. Marble Hunting Rules Everyone is paying it forward across the world! Individuals, artists and collectors are posting their lost marbles and giving you clues and locations! Finding an active Marble Hunt is easy. Just go to the Worlds Biggest Marble Hunt Facebook page and search for your region or state to look for posted hunts or scroll down the page. Hunts of all skill levels are posted. It could be as simple as going to a local park and finding the marble or you could go on a grand adventure up a mountain or down white water rapids to secret hidden locations to acquire your marble. Once you have found your wonderful handmade treasure go to the original post and Mark that it has been found and thank the individual or artist for hiding it. Marking the marble found also ensures that other people do not continue to look for something that has already been found. Sometimes you will find a piece of paper or a certificate that you will need to redeem with the artist or the person hiding so they can mail you the Marble this is often done to ensure that the marble is not taken by the wrong person. Before you go on your grand adventure make sure to read the rules have fun and remember pay it forward! 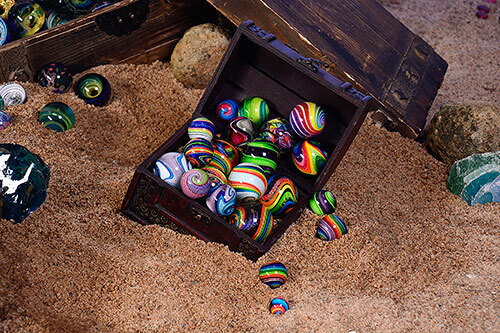 To get started find marbles please join us on Facebook at Worlds Biggest Marble Hunt.